You'll be £16.99 closer to your next £10.00 credit when you purchase War Horse. What's this? For more than four thousand years, the horse and rider have been an integral part of warfare, from the steppes of central Asia to the plains of North America. Understanding the employment of the military horse is key to understanding the successes and the limitations of military operations and campaigns throughout history. In War Horse: A History of the Military Horse and Rider, Louis A. DiMarco discusses all of the uses of horses in battle, including the Greek, Persian, and Roman cavalry, the medieval knight and his mount, the horse warriors—Huns, Mongols, Arabs, and Cossacks—the mounted formations of Frederick the Great and Napoleon, and mounted unconventional fighters, such as American Indians, the Boers, and partisans during World War II. The book also covers the weapons and forces which were developed to oppose horsemen, including long bowmen, pike armies, cannon, muskets, and machine guns. 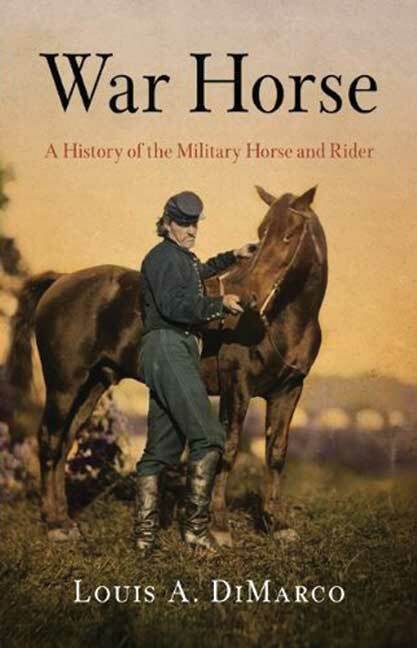 In addition, the author examines the training and equipping of the rider and details the types of horses used as military mounts at different points in history, the breeding systems that produced those horses, and the techniques used to train and control them. War Horse is a comprehensive look at this oldest and most important aspect of military history, the relationship between human and animal, a weapons system that has been central to warfare longer than any other.